Life's Journey To Perfection: How to Incorporate Good Music Into Your Sunday and Every Other Day! 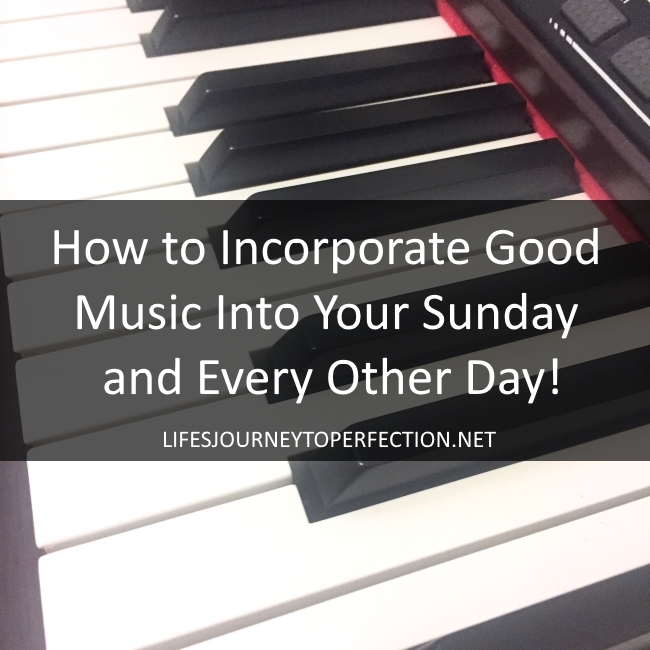 How to Incorporate Good Music Into Your Sunday and Every Other Day! Check out below, how to incorporate good music into your Sunday and Every Other Day! This post contains affiliate links. I also received "Mormon Tabernacle Choir & Friend"& "City of Enoch", so I could review them. All opinions are 100% my own. See the full disclosure. That right there guys, is why it is so important to choose our music wisely! It has a powerful effect on our mind, spirit and behavior. Do you want the spirit to dwell in your home, then think of ways to help your family choose wholesome music! 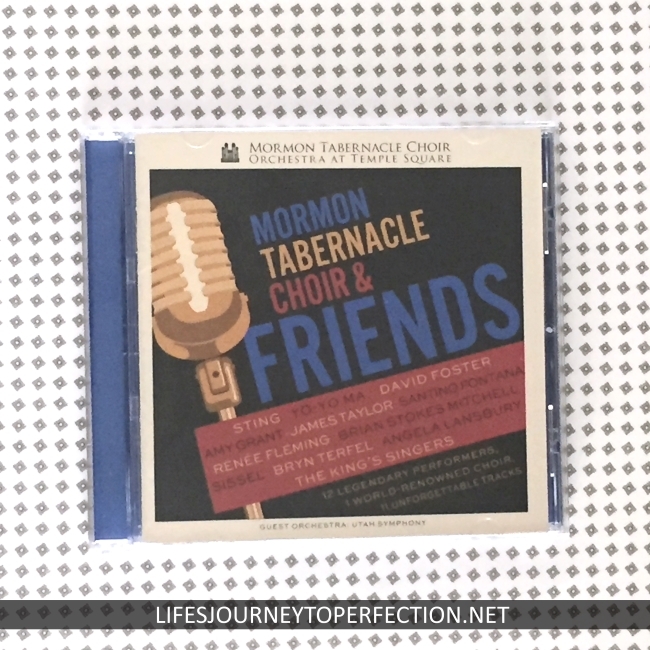 "Mormon Tabernacle Choir & Friends"
If you enjoy listening to the Mormon Tabernacle Choir then you will love their new CD. It is full of variety, with 12 legendary performers performing with the choir. My favorite was, "Beauty and The Beast" with guest artist, Angela Lansbury. I can't get enough of this CD. Their music carries such beautiful messages. One of my favorite songs is, "God So Loved The World"
- Have good music playing in the car. 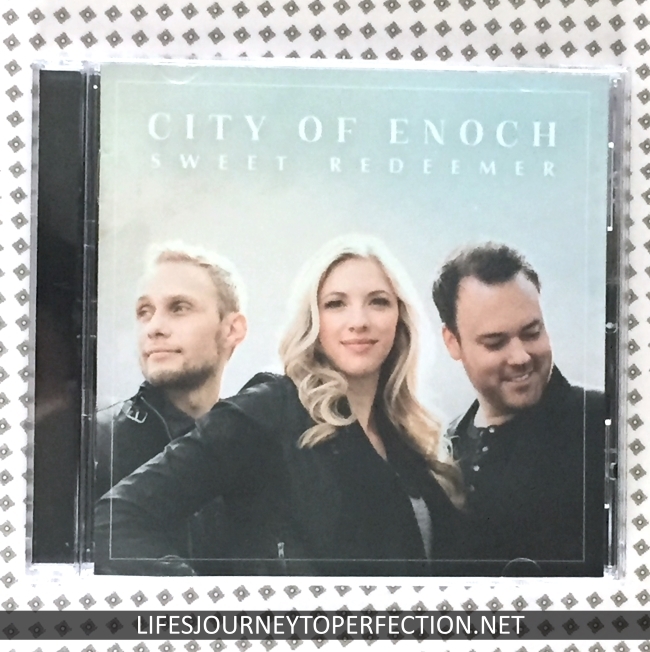 Right now I have "City of Enoch" in my car. Can I just tell you I love their whole album!! - Learn a musical instrument and/or encourage your children to learn an instrument. Learn how to play the hymns and the primary songs. - Watch/listen to the music videos, such as these. - Sunday Morning watch/listen to "Music and the Spoken Word"
- Have great music playing every day of the week, not just on Sundays. Encourage family members to choose music that uplifts, inspires and allows the spirit to be present. - Karaoke!!! One of the funnest things we did was get our youngest a karaoke machine. We have sat around it as a family belting out our favorite tunes! Are you like me and when you are remembering The Articles of Faith, the songs to them go through your mind. Music is a great way to help primary children and even the rest of us, remember the doctrine of the gospel. - Singing time is a fun time for the kids to get their wiggles out and sing their testimonies through song. I love when the primary children choose their favorite songs to sing. There is nothing that can compare to listening to a little 4 year old sing his heart out & you know with out a doubt that he believes what he is singing! -The children's songbook was inspired to teach these little kiddos the principles and doctrine of the gospel. It is something that will most likely stay with them their whole lives. -Not only can we use music in opening exercises and sharing time but we can also use it during class time. Pretty much every topic that you teach, has a song that would go with it. Have music playing as the primary children walk into the class room. During class if the kids start getting restless, do an activity song or let them choose their favorite song. Let them play simple instruments like shakers. Music is huge for youth and there are so many amazing songs for them to be uplifted while they are listening. - Send your class a text with a link to one of the amazing youth songs. Here are my favorites: "We Believe"; "Come unto Christ: 2014 Theme Song"; "Embark"; "2016 Mutual Theme: Press Forward"; Mormon Channel Music Videos; "Fragile"
- Have music playing as the youth enter the classroom. Lds.org has some amazing music on the Youth Page. - During your lesson play a song that goes with the topic you are teaching. - Invite youth to develop and use their musical talents. Help them prepare special musical numbers for sacrament meeting. Provide opportunities for them to use their musical talents in opening exercises, during class time, or during weekly activities. Some of the lesson when I have felt the spirit most is when music has been involved. Whether it be a song being played as you walk in or a special musical number during the lesson, wholesome music invites the spirit. Something else that could be done with the adults is to talk about a hymn, its meaning and the history of it. Use the talents of those in your ward!! Music is an amazing blessing! I hope these ideas will be helpful to your and your family! If you have other thoughts and ideas of how to incorporate good music in your home and callings, please share in the comments! !